New Zealand’s good reputation just keeps on getting better. Already known for its great scenery, courtesy of the Lord of the Rings movie franchise, and earning the title as the youngest nation in the world, New Zealand has also been voted the most peaceful country in this year’s Global Peace Index (and for two years in a roll), a report prepared for the Australia-based Institute for Economics and Peace in conjunction with the Economist Intelligence Unit. In this annual ranking of 144 nations on the basis of how peaceful they are, New Zealand claimed the top spot due to its relatively low rate of violence, decrease in military spending, election of a conservative coalition government last year and high level of respect for human rights. 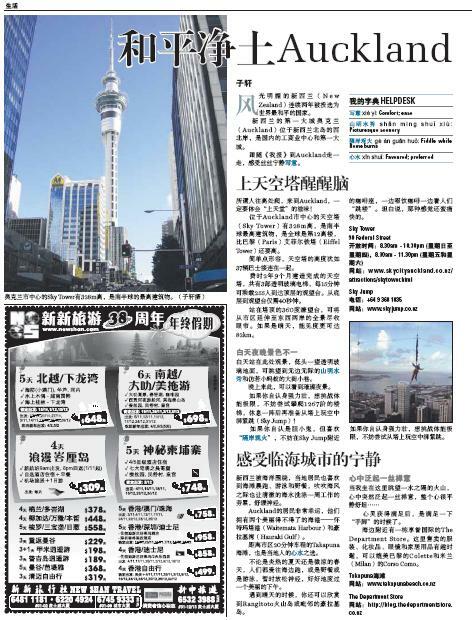 Clearly, New Zealand’s healthy multiculturalism and natural beauty have contributed to their peace-loving attitude, but we were so curious to understand the secret to their peacekeeping success that we embarked on a trip to Auckland, New Zealand’s largest city. 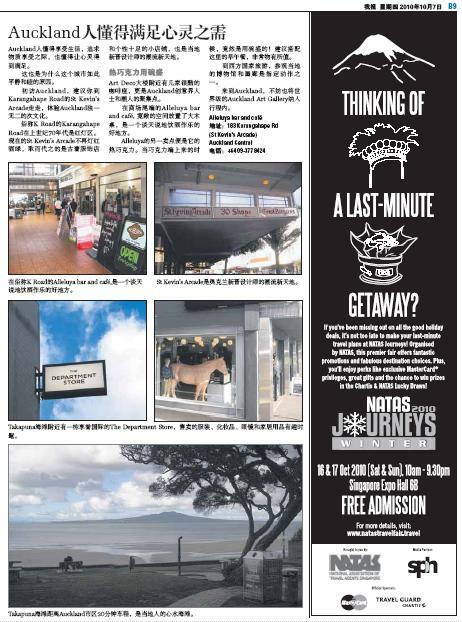 What we discovered made it into the the Auckland travel story below published in MyPaper, Singapore’s bilingual newspaper.